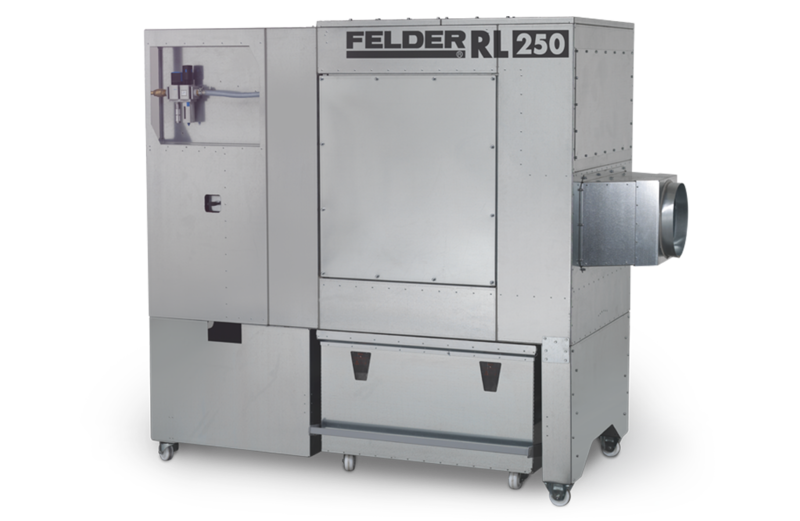 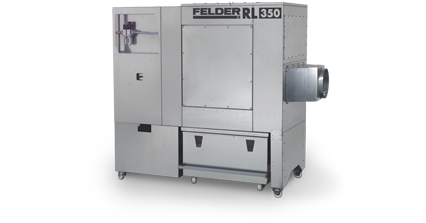 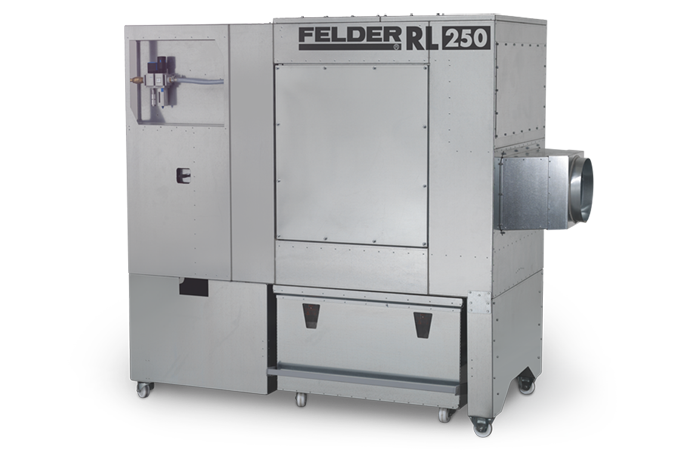 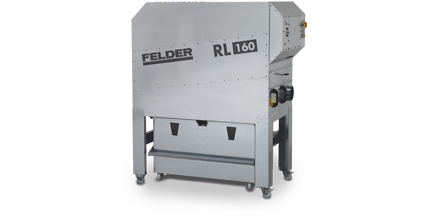 The Felder RL 250 clean air dust extractor combines compact design with optimal extraction performance and requires minimal space in the workshop. 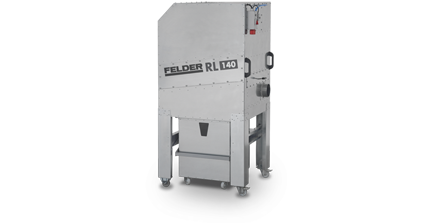 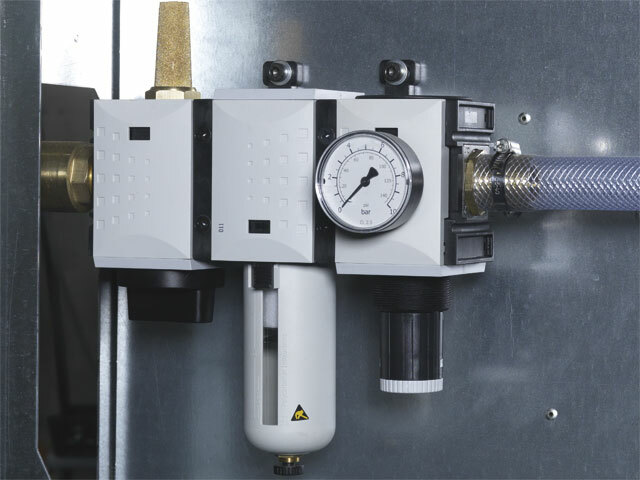 The high extraction performance makes it possible to simultaneously use the extraction on several machines. 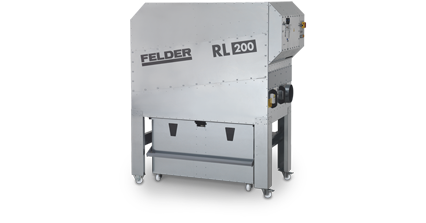 The Felder RL 250 is “GS”, “BG” and “H3” (remaining dust content <0,1mg/m³) tested. 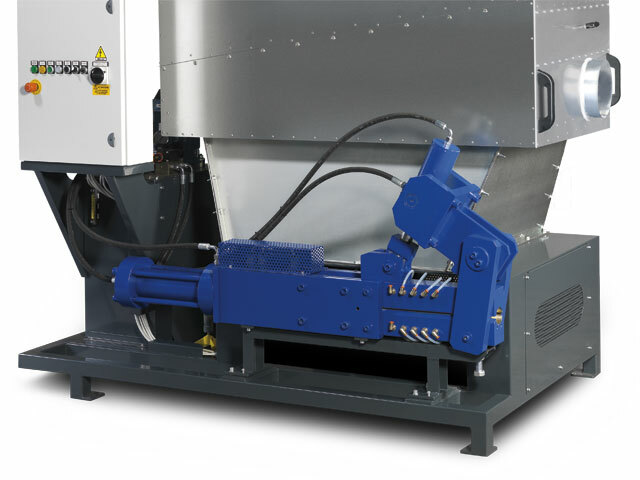 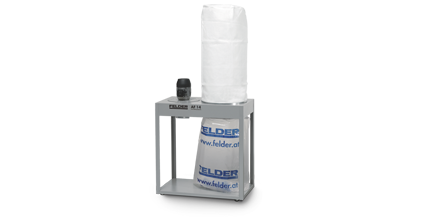 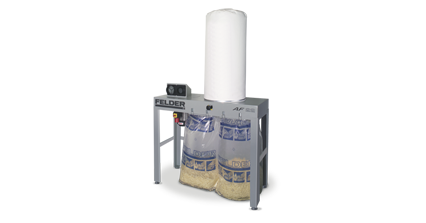 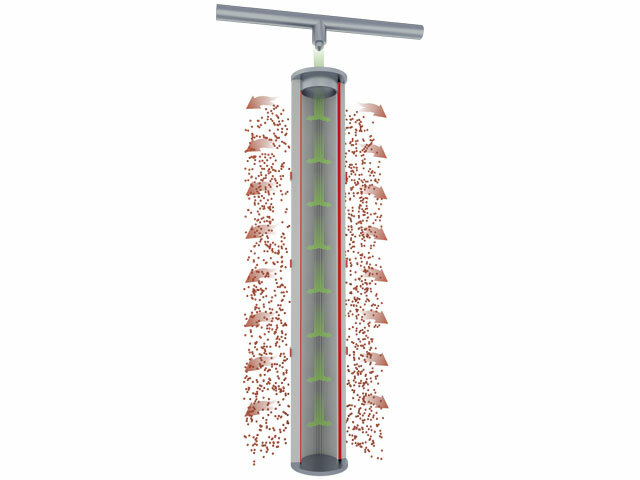 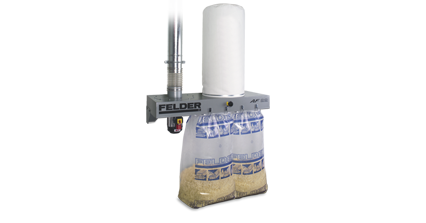 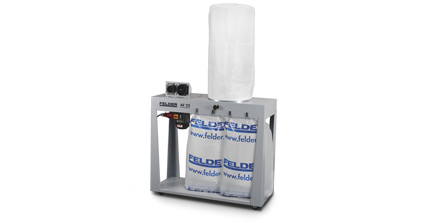 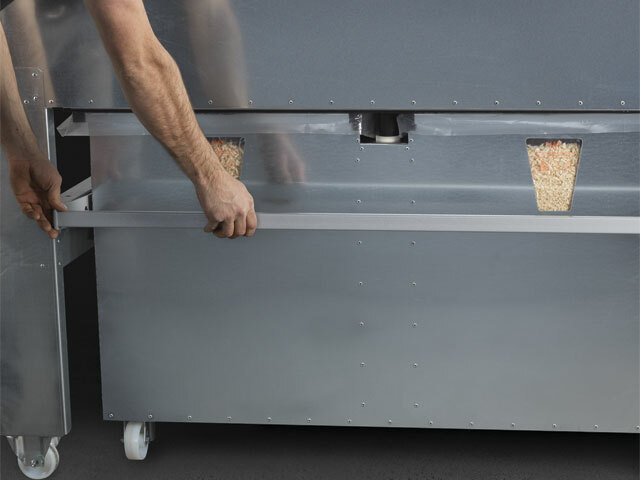 When combined with the Felder briquetting press, the Felder clean air dust extractor provides you with even more productivity. 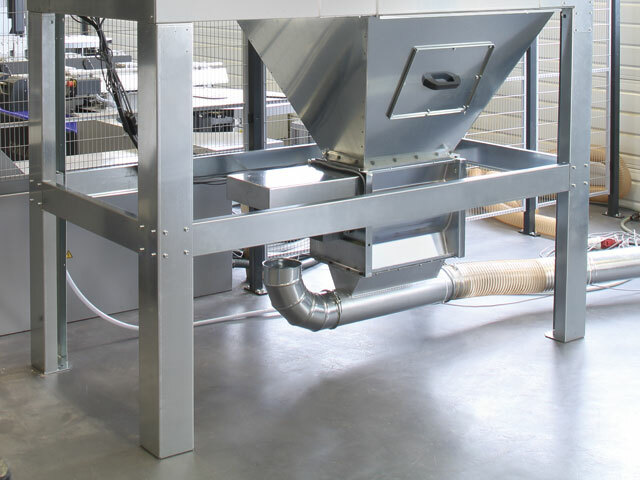 The chip collection bins are positioned under the machine ensuring an optimised filling of the dust bags. 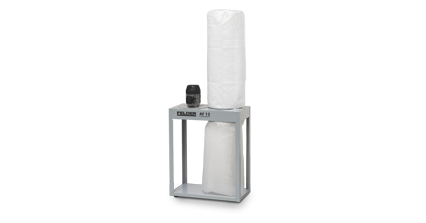 The optimised clamping system ensures a quick dust bag changeover. 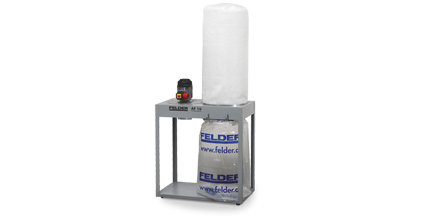 Continuous automatic blasts of compressed air clean the filter completely and guarantee long lasting perfect extraction results. 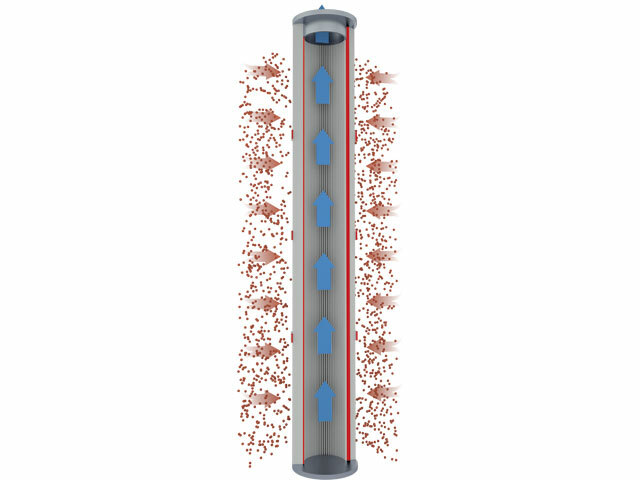 Fuel, disposal costs or storage space are all becoming more and more expensive. 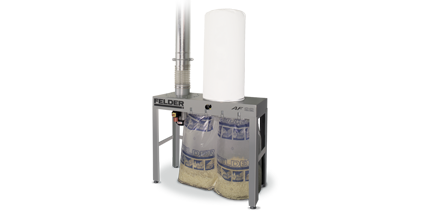 The Felder briquetting presses reduce the volume of waste by 90 % and additionally eliminate the need for investment in a chip container or silo. 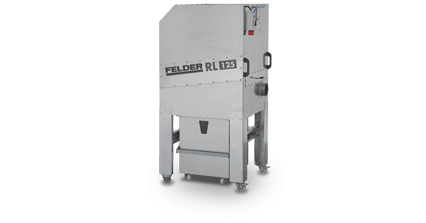 Felder briquetting machines are suitable for continuous use due to their design. 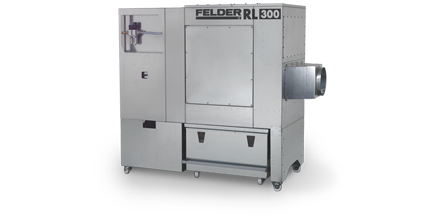 They are assembled on a solid base frame and can be combined to use with clean air dust extractors by Felder.